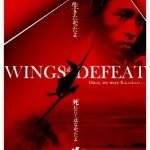 Wings of Defeat (2007), a documentary film by Linda Hoaglund and Risa Morimoto is now available in the Library. “Ever since the Pacific War, the Kamikaze have been presented as true believers who embraced death without qualm or question. Wings of Defeat succeeds brilliantly in puncturing this myth, placing viewers face to face with elderly Japanese who as young men were prepared to die as Kamikaze.” John W. Dower, Pulitzer Prize-winning author, Embracing Defeat, Professor of History, MIT. The DVD includes an interview with historian John W. Dower as well as a teacher’s guide with essays, interviews, discussion questions and suggested activities.